We can diagnose and treat depression, attention deficit disorder, post-traumatic stress disorder, anxiety and much more. Addictive disorder services are available at all of our Caring Choices Clinics and also from some of our contracted providers. Developmental disability services are available for people with developmental disabilities who are seeking supports or services. 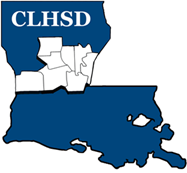 The Central Louisiana Human Services District (CLHSD) provides an array of services to individuals who are concerned that they may have a mental illness or an addictive disorder as well as to individuals who have already been diagnosed with behavioral health issues (mental illness and/or addictive disorders) and/or developmental disabilities. In order to meet the needs of all individuals needing assistance, CLHSD provides services directly through several outpatient Caring Choices clinics and CLHSD also contracts with other agencies to provide services through their organizations. Services from CLHSD or from one of its contracted agencies are available to residents of the following 8 parishes: Avoyelles, Catahoula, Concordia, Grant, LaSalle, Rapides, Vernon and Winn. However, a couple of our contracted services are available to residents of the entire state. Mental health services are available at all of our Caring Choices Clinics, which are located within a half an hour from the largest cities in each of the 8 parishes of the District. These services are intended for people who aren’t sure if they even have a mental illness and for people who already know that they have a mental illness and need ongoing care (counseling and/or medications). We have highly trained and experienced staff to help you figure out whether or not you have a mental illness, such as depression, attention deficit disorder, post-traumatic stress disorder, anxiety, or they can provide you with the ongoing care to keep you healthy and well. Once you contact the clinic, you will be scheduled for a clinic orientation to get all of the paperwork (client rights, confidentiality, releases of information, etc.) reviewed and signed, and to educate you about the clinic, so you know exactly what to expect. At the end of your first appointment, you will be scheduled to come back in to meet with the social worker and psychiatrist. 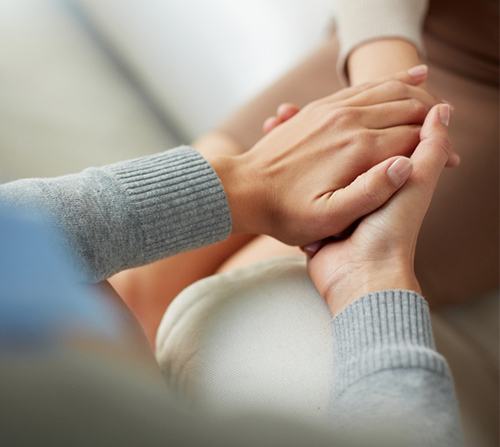 At the second appointment you will be given assessments and be interviewed, so that the social worker and psychiatrist can determine if you have a mental illness, and if so, what that mental illness is, so that they can begin treating you for it. You will be told what illness you have and given information about your illness. Addictive disorder services are available at all of our Caring Choices Clinics and also from some of our contracted providers, which are also located within a half an hour from the largest cities in each of the 8 parishes of the District. These services are intended for people who aren’t sure if their alcohol or drug use constitutes a disorder and people who already know that their alcohol and/or drug use is a problem and need ongoing care (counseling and/or medications). We have highly trained and experienced staff to help you figure out whether or not your alcohol or drug use is only abuse or if it is an actual addiction. We have highly trained and experienced staff to help you figure out whether or not your alcohol or drug use is only abuse or if it is an actual addiction. Once that determination is made, they can provide you with recommendations to prevent the abuse from becoming an addiction or they can provide you with ongoing care to keep your addiction in remission to keep you healthy and well. Once you contact the clinic, you will be scheduled for a clinic orientation to get all of the paperwork (client rights, confidentiality, releases of information, etc.) reviewed and signed, and to educate you about the clinic, so you know exactly what to expect. At the end of your first appointment, you will be scheduled to come back in to meet with the addictions counselor and psychiatrist. At the second appointment you will be given assessments and be interviewed, so that the addictions counselor and psychiatrist can determine if you have an addictive disorder, and if so, what that addictive disorder is, so that they can begin treating you for it. You will be told what addictive disorder you have and given information about your disorder. When you have scheduled a mental health or addictive disorders appointment, you must bring the following documents with you to assess whether or not you will be charged any fees and, if so, what those fess will cost. If you don’t have all of these documents, please contact the clinic where your appointment is scheduled and let them know what you are missing and they will tell you what to do. Developmental disability services are available through CLHSD, who serves as the Single Point of Entry for people with developmental disabilities who are seeking supports or services (flexible family funds, individual and family support, support coordination, supported living, school transition services, residential, early steps, waivers, and/or community support team) through the Louisiana Department of Health. In order to qualify for supports and services, you must have developmental disability as defined by state law (Louisiana Revised Statutes 28:451-455). Is attributable to an intellectual or physical impairment or combination of intellectual and physical impairments. Is manifested before the person reaches age twenty-two. Is likely to continue indefinitely. (b) Receptive and expressive language. (f) Capacity for independent living. Is not attributed solely to mental illness. **Provides outpatient mental health services to children/teenagers and adults and outpatient addictive disorders services for adults.